When Fiverr Pro was introduced in 2017, the goal was to give customers access to professional level freelancers. It was also designed to give the freelancer a specialized market place across four distinct categories. 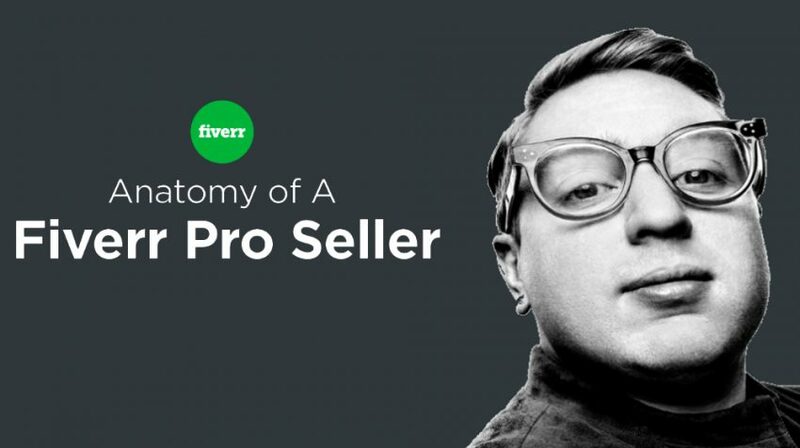 In a new infographic titled, “Anatomy of a Fiverr Pro Seller,” the Israeli based company reveals nine essential characteristics which make a Pro Seller standout. And these experts are proving to be valuable assets for small businesses, startups, entrepreneurs and even large corporations. According to Fiverr’s Fueling Entrepreneurship Report, 81% percent of the respondents said tools for building a business are more accessible than ever, but 64% indicated they spend too much time trying to find the right professional. With Pro Seller and Fiverr’s freelance user base, the company wants to resolve this problem — improving freelancers’ earning potential in the process. Top notch Fiverr freelancers can make six figure incomes. And according to Forbes, they often start at the bottom and work their way to the higher levels to command premium rates. With Pro Seller, the candidates are selected based on their expertise so they can start earning professional wages right away. In the infographic, a Pro Seller is identified as someone who is hardworking, disciplined and professional. Demonstrating these qualities is key for freelancers because they are responsible for delivering the results their buyers request each and every time. Lackluster performance results in bad reviews, which ultimately will mean fewer and fewer customers. A freelancer is also his or her own customer representative and marketer. And effective freelancers must be adaptable and flexible, two other important characteristics. According to Fiverr, 43% of customers look for these two criteria when hiring people with whom they wish to work. So great freelancers should plan accordingly when considering the services they offer to their clients. Options include planning related services to add to their core offerings or forming partnerships with other Pro Sellers to get the job done. The Accenture Technology Vision 2017 (PDF) report says traditional models of employment will be “dissolved and replaced with talent marketplaces.” The firm reports on-demand labor platforms and online work management solutions utilizing freelancers will replace older employment models. And the Freelancer Union says by 2027 the majority of workers in the US will be freelancers. You can look at the other characteristics of Fiverr Pro Sellers below.